Going abroad on a long vacation / temporarily on work? Preserve your phone number during that time. ‘Winter is coming’ as they say and maybe, like many snowbirds, you too are planning your escape from Canada during the worst of our winter. Or maybe you’re planning that bucket list RTW (Round-the-world) trip for a whole year. Or maybe you’re an itinerant business traveler and your latest project will take you out of the country for a few months or more. In any case, you are looking for the perfect, most-hassle free and cheapest way to keep your Canadian number in abeyance during your travels. If so, you have come to the right place and in this article, we will tell you of your various options and help you choose what is right for you. First and foremost, you could be attached to your number. Maybe you’ve always had this number and you like it. You might not want to give it up just because you are going to be traveling for a short while. Parking your number enables you to keep the number you love. Even if you are not attached to your number, changing your phone number is a lot of hassle. You need to update all your contacts, the banks, the government and then endure months of missed connections because new people are forever discovering that they don’t have your number after all. 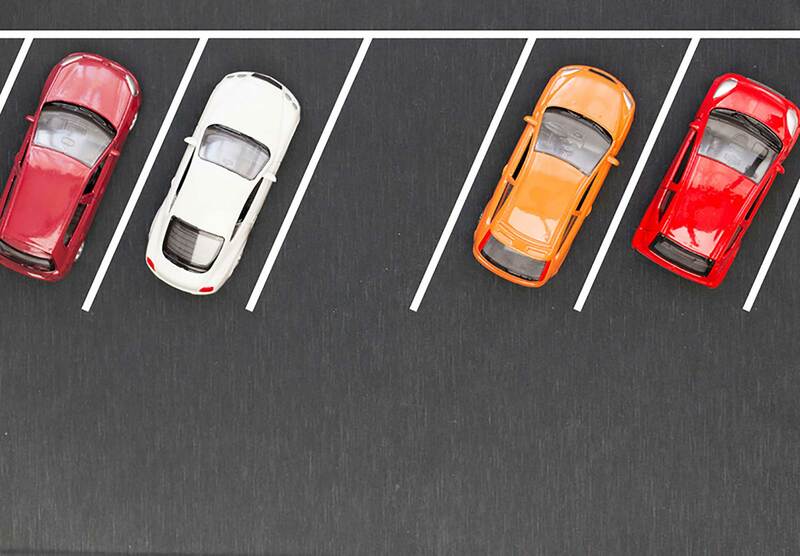 Parking your number could save you from all this hassle. Additionally, parking allows you to have a fully functioning number immediately after you return. Parking your number allows you to save money while you travel by drastically reducing your plan cost and ensuring that you are no longer paying for Canadian services not being used while you are on vacation. Allows you to benefit from (much-cheaper) local rates in the country where you are traveling for the duration of your stay. There are a couple of options how you could park your number / keep your plan in abeyance and here we will help you decide between them by telling you more about their various pros and cons. Your first choice to park your number should be your current provider. Because that is likely to be the most hassle-free option. The last thing you need when you are in the midst of that last-minute rush before leaving for a long trip away is to waste valuable time on trying new services for retaining your current phone number. Independent number parking services can be complicated to port to and are not always guaranteed to work. Many of the popular providers allow you to preserve your plan rates and your mobile number by putting your plan temporarily on ‘Vacation Suspension’. That way you only pay a reduced monthly amount for the privilege of retaining your number and being certain of having your current plan re-activated upon return. You get to retain your number and your current plan. So if you are on a grandfathered plan that is no longer available and would like to keep it, then this is the best option. In many cases, this works out cheaper, if you are going to be away for a relatively shorter duration like a month or two. Most providers do not allow call or text forwarding while on vacation suspension. So you won’t be able to receive calls or texts to this number while you are away. Depending on the provider, it can get expensive if you are going to be away for six months to a year. If you are going to be away for longer than a month or two, a number-parking service or porting to a VoIP provider might work out cheaper, though these have their own drawbacks – read on to find out more. VoIP, for those of you who may not know, is Voice over Internet Protocol or in other words a phone service over the internet. While they can be more complicated to set up than a simple phone call to your provider, they can still be worth it in certain situations. For example, if you are likely to continue receiving calls on the parked number and you would either like an answering service for it or would like to be able to forward your calls to your temporary number, then a VoIP service can be your best bet. The way it works is that you would port your number over to the VoIP service and either pay a flat, usually low fees to just park the number or choose add-ons such as voicemail, answering service or call forwarding for progressively more money. And once you are back in the country, you can either port the number out again to your provider of choice or opt for a data only plan and continue to use the number over VoIP. The same is roughly true for independent number parking services, though of course, you will not need the internet to access your messages (should you choose an answering service package) and you will need to port your number out to a service provider when you return. Can allow you to use the number in as limited or full-fledged way as you choose. This can be especially useful if you are parking a business number and would like your clients or customers to continue to have a mostly uninterrupted experience while you travel. Depending on the services you choose, and the duration can be significantly cheaper than parking your number with your mobile provider. Using VoIP means porting out of your current mobile service provider. That means that you will lose any long-term member privileges or grandfathered plans that you are currently on. If you do plan on using the answering service and listening to your voice messages or certain types of call forwarding, you will need stable access to the internet fairly regularly, if not continuously. If your travel/vacation plans do not include the internet, not all VoIP services may make sense for you. You may be charged for ending your contract with your current provider. You may also be charged to port your number into a provider after you come back from your vacation. So do your diligence before you end your plan. If you choose call-forwarding, there may be a cost involved with your local service provider in the country where you are traveling, since it will likely count as receiving international calls. So do check on that before opting for call forwarding. So now that you know a lot more about your various options for putting your plan on hold or parking your number, go ahead and pick the best option for your needs. And if you choose to end your contract with your provider, or even if you put it on hold, rest assured, that when you get back, PlanHub will be right here to help you choose the best mobile plans of the moment for your needs. And if you choose to park with your mobile provider, don’t forget to check out our article for the “Best Vacation Suspension plans on offer in Canada right now”. Think this is all too much hassle and you should be able to freely switch service providers and numbers as you travel or even generally? We agree. And e-sims are on the threshold of enabling just that. So check out our article on e-sims to find out more about how widespread adoption of this technology will revolutionize the world of mobile phone offerings and how with PlanHub, you can be in the best position to take advantage of this shift in technology.